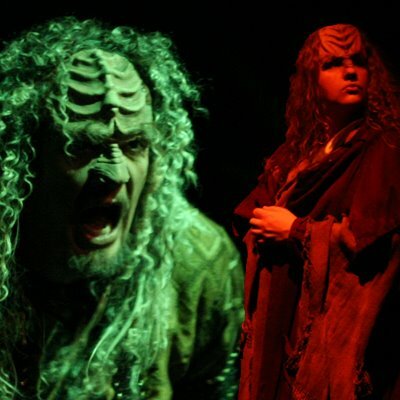 A Klingon Christmas Carol is a production by Commedia Beauregard in Chicago. Opening night is Novermber 25th, 2012 and this is its fourth year running during the holiday season. This will eventually be recorded by the il Troubadore Klingon Music Project (I recorded all of the parts above) which is a side project of my world music ensemble, il Troubadore. The final product may very well be significantly different, but I think I like the overall effect.